We all know that the well-known Japanese multinational conglomerate corporation Sony is still preparing the suitcases to land in Barcelona and will simply try to surprise the Mobile World Congress event this year. 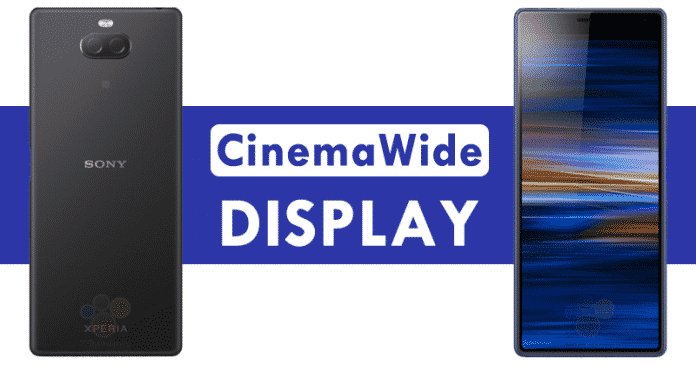 Now, according to the latest reports, recently, a new smartphone of the well-known Japanese smartphone brand, Sony appeared with CinemaWide display. The well-known Japanese multinational conglomerate corporation Sony is still preparing the suitcases to land in Barcelona and will simply try to surprise the Mobile World Congress event this year. As we all know very well that the South Korean giant Samsung will simply present its new flagship smartphone, of course, the Galaxy S10 outside the fair, hence, the well-known Japanese multinational conglomerate corporation Sony has a good opportunity to attract the world’s spotlights and announce their bet for 2019. One of the smartphones that have up its sleeve is the Xperia XA3, that we just discovered with its first official images. The leaks appeared on the internet just weeks before their release, as the well-known Japanese multinational conglomerate corporation Sony is expected to present the all-new XA3 at the MWC within two weeks, along with a supposed XA3 Ultra and the new flagship, the Xperia XZ4. Now, the well-known media portal, of course, Winfuture has had exclusive access to a few images that reveal the design of the Xperia XA3 completely. The first thing that catches the attention of the device is that Sony seems determined not to join the fashion of the “notch”. Not in the form of a drop of water, and not even adopting hole technology on the screen as well. In contrast, the well-known Japanese multinational conglomerate corporation Sony maintains the line of previous years simply by improving aesthetic aspects. We clearly referring to the frames of the all-new Xperia XA3. Although it can not be measured based on the images, all the rumors suggest that the device will have the new 21:9 format, which is expected to be released by Sony’s new smartphones. As the all-new Sony XA3 will feature a 5.9-inch screen with a resolution of 2560×1080 pixels. The source of the images states that the smartphone will come with a plastic shell on its back which will be available in four colors, black, silver, blue and pink. There is a double rear camera with a double LED flash just above it and a USB Type-C port. However, now if we talk about the technical specifications of this new Sony XA3 then let clarify that it will feature a Snapdragon 660 chip with 4GB of RAM and 64 GB of internal storage, a 3500mAh battery and a dual camera of 23 and 8 megapixels. But, the fact is that all these are rumors, hence, to clear our all doubts simply we have to wait a couple of weeks. So, what do you think about this? Simply share all your views and thoughts in the comment section below.